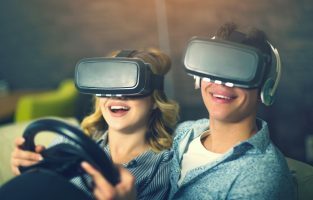 The consumer VR scene has expanded rapidly since last year, as tech companies around the world are unlocking great capabilities, and content developers are using those capabilities to produce highly-immersive VR content, for us. It wasn’t always like that. Just a few years ago, virtual reality was not a widely-known or –used term. 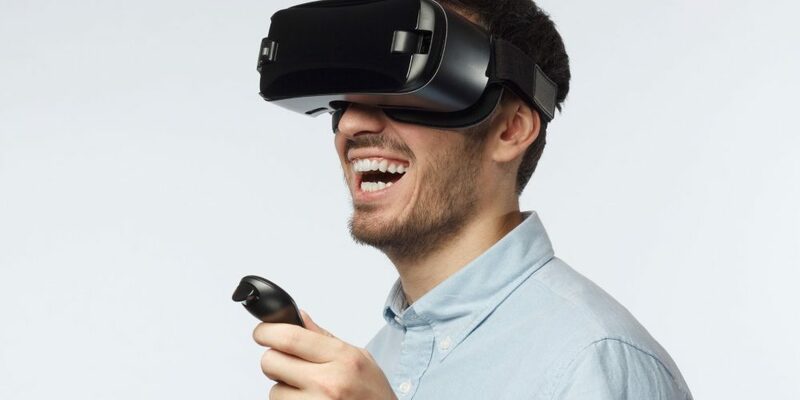 Very few influential tech companies had invested in this technology during that time; Samsung was not only one of those companies, but it was also among the first global tech giants who offered affordable VR to the public. If you first experienced virtual reality and 360o videos before this technology went mainstream, you must have done so with a Samsung Gear VR headset. This isn’t because Samsung offered the best VR headset, but because they offered the only one, at that time. If you have Samsung’s devices, or you are a fan of the company’s products, then you should definitely try the Gear VR. 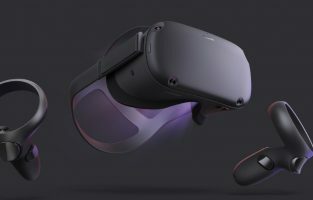 The mobile VR headset is also a great entry point for newcomers who want to experiment with immersive VR content without buying an expensive product. If you are thinking about where you would start with the Gear VR, don’t worry – we’ve got you covered. In this article, I will be will be listing some of the best Samsung Gear VR apps that you can enjoy for free. Netflix is probably the most popular subscription-based streaming service, worldwide. Nothing can compare to the binge-watching of all of your favorite shows and movies via a single streaming service. Imagine the delight of VR lovers when Netflix announced that they had launched the VR version of Netflix. No more distracting background behind the TV screen, now that you can practically live inside of it. If you happen to have a Netflix account, the Netflix VR app for the Gear VR should definitely be your first download. YouTube VR is the kind of VR app that you will find on almost any list of best VR apps to try. After all, it is the primary hub in the industry of 360o video creators. YouTube opened its VR library in 2015, with just about a hundred VR experiences available during the launch, but you should never underestimate the power of YouTube. 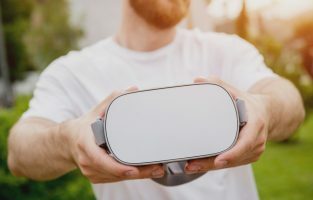 Over the years, thousands of content creators have used YouTube to share awesome, immersive, and captivating VR experiences, making YouTube the locus for biggest collection of passive VR experiences. We have talked about VR apps for the Samsung Gear VR that will provide you with thousands of hours of content, but that content is curated, manipulated, and scripted in order to provide you with an optimal experience. NextVR includes a lot of VR technology’s awesome capabilities; the result is a robust and irresistible platform. 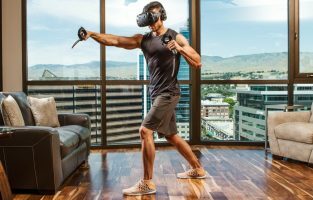 NextVR is currently the world’s most popular VR app that virtually puts you in live events, all from the comfort of your couch. Have you ever wanted to sit in the front row seat of an NFL game? Have you ever wanted to visit the famous Gotham Comedy Club and laugh at the brilliantly-delivered punchlines of renowned and rising stand up comedians? Have you ever wanted courtside seats for an NBA game? All of these experiences are now possible with NextVR. If you want to see how resistant you are to the tricks that VR plays with your mind, download the Rilix Coaster VR application on your Samsung Gear VR, and take it for a spin. You won’t be able to handle it. Almost everyone who tried Rilix Coaster on a simulator came out dizzy and grabbing for support to prevent themselves from falling. You will be trying it on the Gear VR, so the effect won’t be as intense as in a simulator, but we can guarantee that motion sickness from completing a ride will hit you hard as soon as you take off your headset. Rilix Coaster is a fun VR app that I would recommend that you, and also your friends and family, try. Let’s talk games, now. Gaming is among the most popular, the most anticipated, and the most touted aspects of virtual reality. Not including any games on this list would be unforgivable. Imagine you’re going the wrong direction on a one-way road at very high speed, and avoiding the oncoming traffic like a boss. This will be you in Temple Run VR, after a few intense hours of sprinting, jumping, sliding, and crouching through obstacles. Temple Run VR is a must-try VR app, not only because of its brilliant and addictive gameplay, but also its capability to help you deal with any motion sickness issues that you will most probably will face during the start of your VR journey. Of course, it’s your task to see if this VR game lives up to all the promises. So, fire it up, and try a few runs before you decide how you feel about it! No matter which one of the two continuities of the epic Star Wars series you have watched and love, one commonality on both sides is that everyone loves Star Wars. We love the movies, we love the comics, we love the fan fiction, and we love the games related to Star Wars. Many game developers chose to create awesome and immersive video games related to this immensely-loved universe. Now, we have a VR game from this fantasy for your Samsung Gear VR headset, and it is completely free. You will be tasked with emergency repair of damaged robots, as a battle against the Sith is about to begin, and Princess Leia’s ship needs all the droids it can get. Enjoy a few hours of very exciting and immersive gameplay which will leave you wanting more VR by the end. Who says you can’t enjoy all the goodies of a world-famous social media platform via a VR headset? Facebook 360 is the evidence that you can. The Facebook VR app is free for the Samsung Gear VR, and provides a relatively large collection of intriguing and exciting content. 360 Photos – yeah, that’s a thing! It’s interesting, engaging, and since it costs nothing, you should definitely give Facebook 360 a try on your Gear VR headset. In very simple terms, Skybox is the one VR app that you must download on your Gear VR headset, and it will probably be one of the few apps that you’ll keep. Not only is this app a very user-friendly VR media player, but it also has the most cool features of all the VR apps developed for the Samsung Gear VR. Once you launch it for the first time and start exploring, you will find it very surprising that this app was free. Skybox supports 10 different types of VR video formats – which sums up almost every VR video format that you’ll need – and features flexible controls, so that you or the content developers can optimize the settings for the specific VR experience that you’re watching. You will find a number of cinemas and beautiful VR environments preinstalled in the app to get you started. Oculus Rooms offers you something that you may find priceless: Solitude. Oculus Rooms allows you to create and customize a room for your virtual leisure time; this room can be decorated however you want, it can be filled with whatever you want, and all that remains is for you to put on your Gear VR headset and start having fun in there. Through Oculus Rooms, you get your own personal space to escape to when you are tired of all the mood-killers in our reality, or when you want to take in fresh sights and enjoy some “me time” after a long and exhausting day. I know I say “you should definitely try this app” for every app on this list, but that’s because each one I’ve listed is a free doorway to great wonders and a lot of fun. In our childhood, if we were granted just one wish, it would be to somehow get inside that TV screen and enter the realm of Cinderella or the Toy Story series. As we went through our teenage life, all we wanted was to become one with the Force in a galaxy far far away. It might be a bit late for some of us – it’s never too late to fantasize and imagine! – but Disney has granted those wishes in the form of a VR app. Disney Movies VR is your portal to all those fantasy worlds that we adore, and interaction with all the awesome characters that we idolize. If you do try this app, I would recommend you visit the Avengers Tower and the Millennium Falcon right away. You might have a very strong stomach when it comes to being scared by horror movies, but the art of horror in a virtual environment will have you really scared like never before. That’s what Face Your Fears is all about: Experiencing what it truly feels like to be inside a horror movie. The jump from traditional 2D displays to an immersive 3D world is so significant that you will feel scared as soon as the game immerses you in that world. Get ready to watch your adrenaline level rise off the charts, as you gasp for air between your scared shouts and your goosebumps try to detach themselves from your body and run away! On a serious note, Face Your Fears – however wonderful a VR experience it is – could actually be dangerous for people with a weak heart. So, you should practice caution if jump scares or horrible sights make you sick. Sky Fighter is a space-based sci-fi VR game that you will absolutely love, if you like fantasies or futuristic technologies. All the levels of Sky Fighter except that of Training Day – the first level of the game – will cost you money, but Training Day will be enough to provide you with a lot of fun in a high-tech suit and environment. Sky Fighter features a beautiful controlling mechanism, which includes both head-tilting controls and hand controllers. The fast-paced gameplay offered by Sky Fighter is quite unique for the Samsung Gear VR, as most of the games you play on your Gear VR headset will be more about exploring and experiencing, rather than dodging, shooting, and maneuvering. The fast gameplay will be enough to keep you fully engaged for a long time. In the end, you will also be rewarded with the feeling of having achieved something great, as a bonus. Sure, the achievement would be a virtual one, but it would be an achievement nonetheless, and it will make you both feel good about yourself and you ask for more.